Back in 1994, a consortium with the goal of aligning all web documents to be consistently displayed on all available platforms was established. The World Wide Web Consortium or W3C has been following its mission ever since. 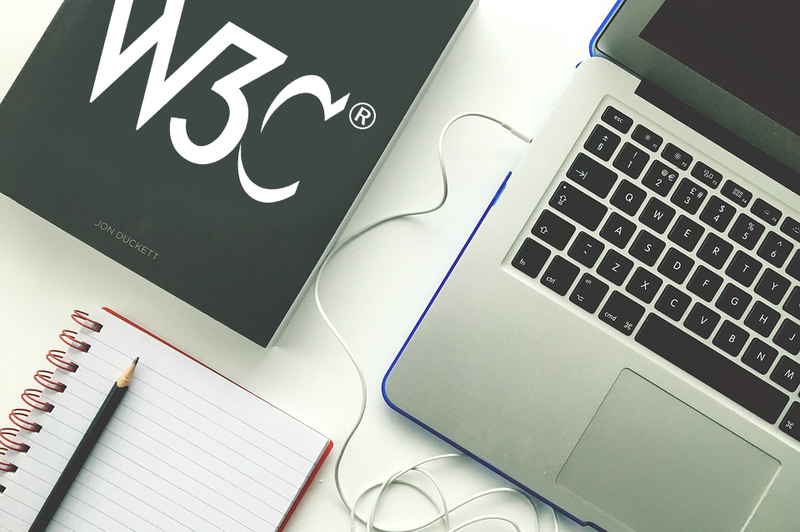 Currently, the W3C offers a strong set of guidelines meant to help developers create a rich and interactive web experience that is available on every type of device. Even though the W3C plans on developing an Open Web Platform that would be mostly based on HTML5, there are other technologies that the platform relies on, such as CSS, WOFF, XML, and so on. There’s a lot of talk in the SEO world about the need to abide to the W3C standards. While most experts agree that the W3C standards are worth following when creating a new website or application, most believe that 100% compliance is close to impossible. If you come to think about it, they are correct. If you’re an SEO expert that’s trying to make sure that your client’s website is at the top of the organic SERPs, you know there are hundreds of indicators that you have to take into account. Add the W3C standards in the mix and you’ll understand why abiding to them 100% isn’t something you should be actively pursuing. The compliance tests that would show you how close to the W3C a website is should only take a couple of minutes to run. However, if one were to document every small fault that these compliance tests would show, it could easily take more than just a few hours. Factor in the time it takes to solve those issues and you have yourself a fairly large number of work hours that could be spent elsewhere. After all, it’s safe to assume that there isn’t a single website in the world that is 100% W3C compliant. And we’re talking about hundreds of millions of websites. However, this isn’t to say that the standards shouldn’t be followed as much as possible. One of the most frequently asked questions regarding W3C compliance is if it affects a website’s search rankings. The answer is that it doesn’t. While W3C is important for general compatibility and usability, it doesn’t impact a website’s search rankings. Nevertheless, even if Google, Yahoo!, and Bing – the most popular search engines, don’t currently include W3C in their search algorithms, it might happen one day. Since we already have the tools to create a W3C compliant website at our fingertips, there’s no reason why we shouldn’t, even if it doesn’t affect search rankings in any way. Moreover, because people tend to browse the web from a wide variety of devices and browsers, you could be missing out on potential customers if your website isn’t displayed correctly. As you can see, there are certain advantages to committing to the W3C standards. Even with these benefits, there are still SEO experts that criticise certain aspects of W3C. The main concern of SEO communities is that a good number of standards are outdated and are based on data that is no longer accurate. For example, the W3C claims that a web page has a limit of 20 kb. This is obviously no longer applicable due to the high-speed internet connection that most of us have. Another complaint comes from the fact that the W3C committee responsible for elaborating these standards isn’t keeping up with the speed at which the market is moving. Pair this with the fact that some of the W3C tools don’t work properly and you can understand why some people find it tedious to include W3C audits into their regular website checking routine. Should You Validate Your Website? Generally speaking, there’s no reason why you shouldn’t, especially if you’re just rolling out your website. While it doesn’t directly impact your SEO ranking, it does have some effect on the way search engines crawl your website. Moreover, it has a more impactful effect on the way people use your website. Having an accessible website that’s consistent on all platforms is essential to attracting more customers. By validating your website, you’re eliminating code errors that could potentially render your website uncrawlable in rare cases. Errors that cause bad rendering do have a detrimental effect on your website. However, this is where the relationship between W3C and SEO stops. However, there is another side to optimizing your website: the end users. They are the ones that will eventually make the purchases that drive your business forward. You want to offer them the best experience you can. The W3C standards help you to do so by providing usability and functionality guidelines that will improve your users’ experience. In the end, you could even validate your website simply to debug and maintain your website. The HTML and CSS debugging tools can easily be used to perform this task. Aligning your website with the W3C standards will save you time in the long run because you’ll have a consistently formatted code across all pages, making it easier to create new pages and content for your website.